What is "Total Sales per Seller" on eBay and why does it MATTER? What is “Total Sales per Seller” on eBay and why does it MATTER? Based on these 5 numbers you then pick products with the most potential and move onto the manual research phase. Just to remind you, I always do this research for the last 30 days. You can do it for any other period if you want but you would still have to convert those numbers to 30 days to follow my guides. So to keep it simple, just do it for 30 days. Now, the first 4 numbers you get directly from Terapeak but what about “Sales per Seller”? I noticed in one of your blog posts you pulled up a Terapeak stat called “total sales per seller” and it was listed in revenue form. But I can’t find this stat in any of my searches and I’m not sure it exists on Terapeak. If it does, where is it? And if not, can you give me the way to calculate that via Terapeak? Yes, you can’t get the “Sales per Seller” number directly from Terapeak because I came up with this indicator on my own. So what does it mean exactly – Sales per Seller? I created this indicator to quickly judge on the competition level for any given product I research. However this is NOT a scientific number – it’s just something I came up with that helps quickly see how Total Sales are allocated across sellers. 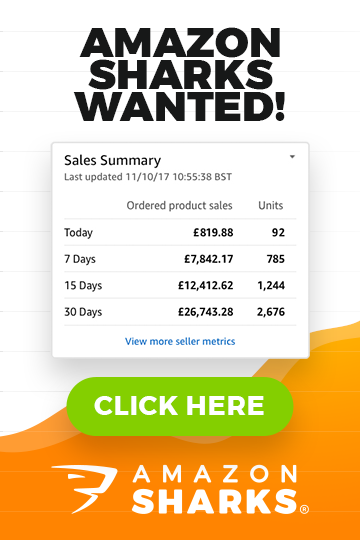 You can calculate this number very easily by simply taking Total sales for last 30 days AND dividing that by the number of sellers per day (both numbers you get from Terapeak). If you’re using any kind of spreadsheet software for your research process, you can easily set-up this as a formula so you don’t have to do these calculations manually. Or you can of course just do it manually for each product you research – totally up to you. IMPORTANT!!! Terapeak gives you SELLERS PER DAY and that’s the number you need to use! DO NOT multiply it by 30! If you multiply this number by 30, you’ll get very small amounts. And while this would show the actual sales per seller for last 30 days, this is not what this indicator is about. So just stick with the Sellers Per Day number Terapeak gives you. Why do I use this number and how to “read” it? This is not as strong an indicator as total sales or sellers per day, which are calculated directly from historical sales but still, I think Sales per Seller provides a good/quick overview of the level of competition for the product you’re researching. This is purely based on my experience, nothing else so please don’t BASE anything around this number ALONE. Let me give you a few examples so you better understand how it works. As you can see – these are two identical products in terms of their data, other than sellers per day which is twice as high for product B compared to product A. And if everything else is the same, why sell a product which has DOUBLE the competition and consequently half the amount of sales per seller compared to the other product? I hope this all makes sense now. The smaller the competition, the bigger the amount of sales per seller, which means more potential for you. Once you get these numbers down and have identified products with good potential, go back to Terapeak and get the TOP SELLER sales number for this product which will clearly show you the leaderboard for sales for that particular product and will allow you to make an informed decision on whether to proceed to the next steps or not. Sometimes there will be one or two sellers taking MOST of the sales with the rest struggling to make any money. This is an indicator that there are clear market leaders in place which may be difficult for you to compete with. Ok, that’s it for today! Don’t forget that each Friday we have a Reader’s Question post so feel free to get in touch with me via the Helpdesk here and submit your questions for next week! You mention in a few places that sales per seller should be around 1k+. In my research I keep getting numbers in the 500 range or just under 1k. What should be my next marker for choosing a product – should I go for smaller niches with less competition or more popular ones with more competition? £1k + is ideal but I would consider products with £500+ too (but not below that really unless I’m planning to do something very unique). 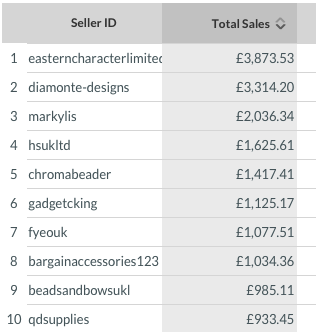 Sellers per day is a very important number and if you’re starting just out, I would definitely recommend going for a niche with less competition (even though it means less total sales). 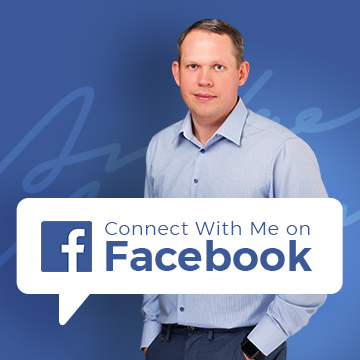 I’m just wondering why you suggest to go for a smaller niche with less competition if the total sales is very low – it would seem that even if I get to the top of the market, potential is still small, whereas in a larger niche the potential is much greater. No, I don’t mean smaller competition IF total sales are very low. You want to look for less competition but with decent sales – £500+ per seller.